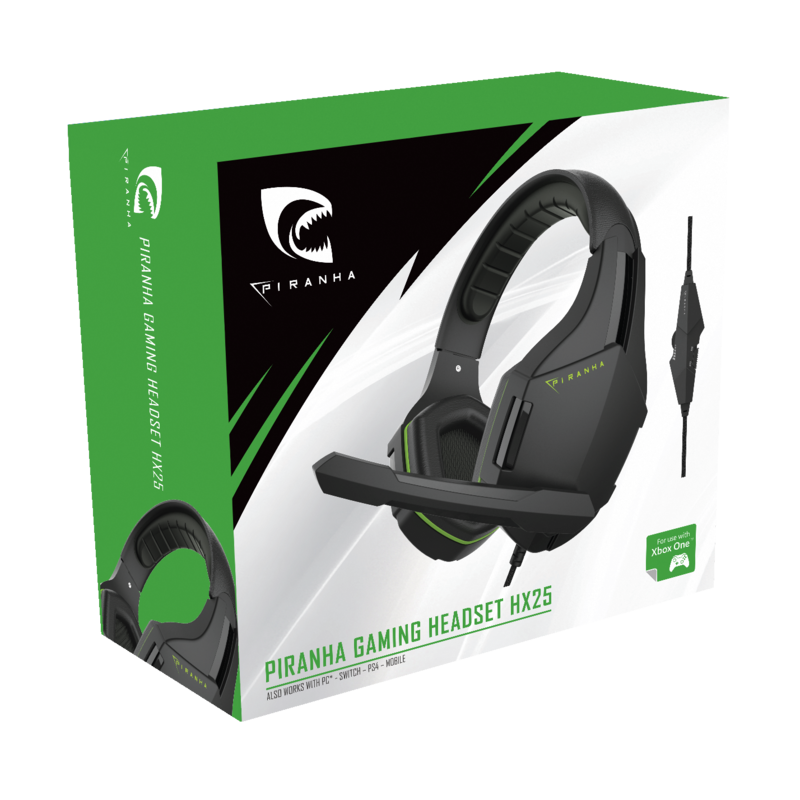 The Piranha HX25 Gaming headset covers all your needs to enjoy your game, a wide headband ensures minimal tension over your head, with a unique earcup shape design generates even pressure distribution for the user. The HX25 gives you high-end features for a affordable price, such as our flip up microphone and braided cable, with a included volume control and microphone mute function. With 40mm drivers the HX25 is sure to provide a great audio experience for the most intense moments in game. Enjoy online gaming and clear communication with the 100Hz- 10KHz flip up microphone. Flip up microphone with mute function.